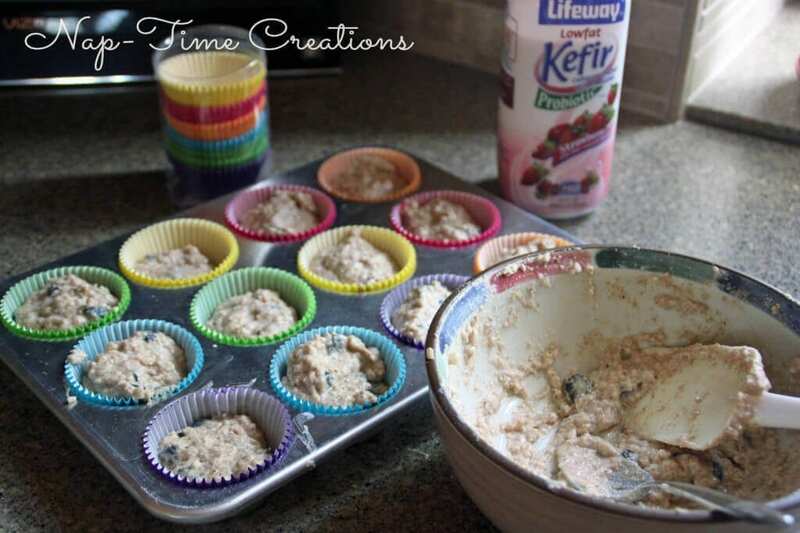 These muffins have probiotic properties with Lifeway Kefir; plus whole wheat flour, steel cut oats and fresh berries! 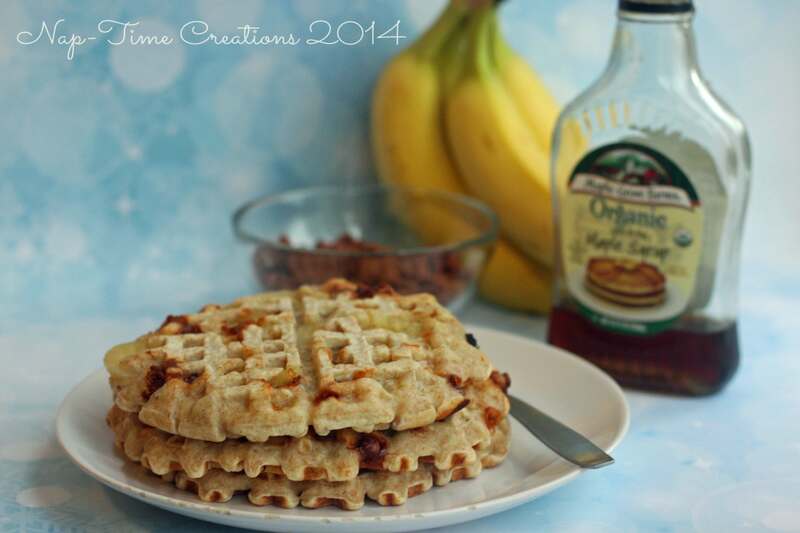 It’s a complete, healthy breakfast in a muffin wrapper. I can feel good about starting our day with a muffin packed with so many good foods. 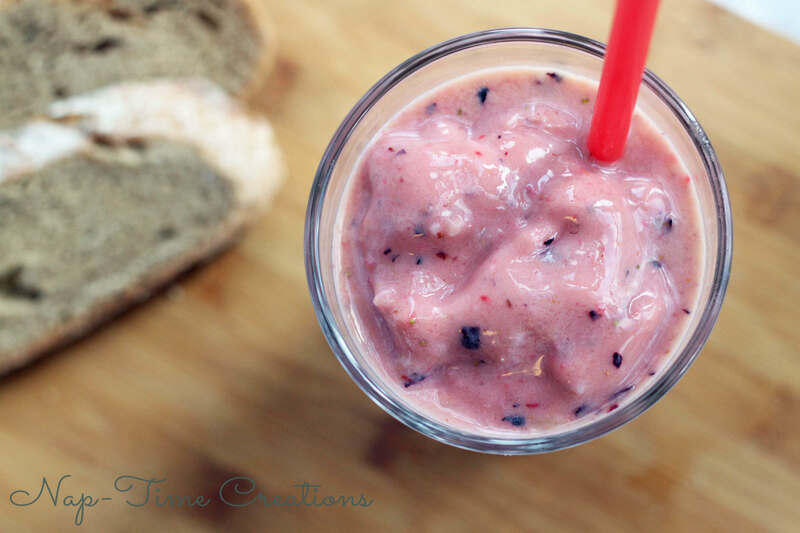 Lifeway Kefir is a smooth, tart, refreshing cousin of yogurt, often thought of as the “Champagne of Dairy.” It gives the muffin a very fruity flavor and adds moisture to make them soft and delicious. Originating in Eastern Europe over 2000 years ago, kefir’s probiotic cultures have long been enhancing feelings of well-being. Lifeway Kefir contains 12 live and active Probiotic cultures that support the immune system and balance digestive health. It is naturally Gluten Free, 99% Lactose Free and contains No Artificial Sweeteners and is rich in Calcium. Lifeway also only uses milk that comes from cows that are not treated with pesticides, antibiotics, or synthetic growth hormones. The cows are grass fed and GMO free. 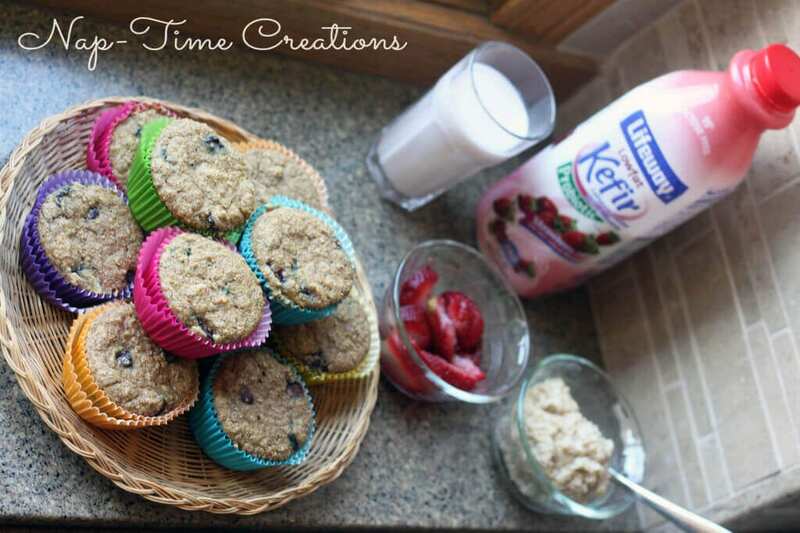 It’s great just in a glass too, so enjoy a glass of Kefir with your Kefir muffins! Stir flour, baking soda, baking powder and stevia in a large bowl. In a smaller bowl mix oats, kefir, egg, vanilla and butter. Mix well, then add berries. Pour the berry mix into the flour and stir until just mixed, it will be pretty thick. 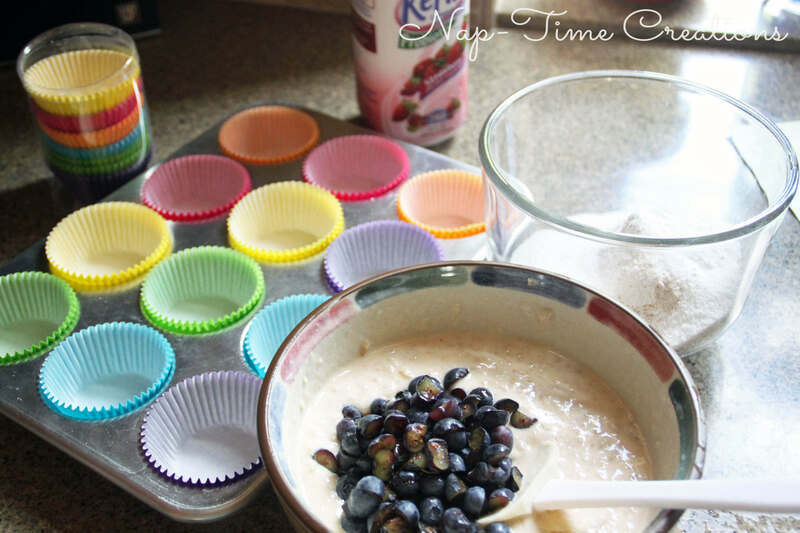 Grease or line muffin tin and pour mix into 12 muffin cups. You can fill almost to the top as they don't rise too much. Bake 25 min, cool in tin for 5 min, then on wire rack. 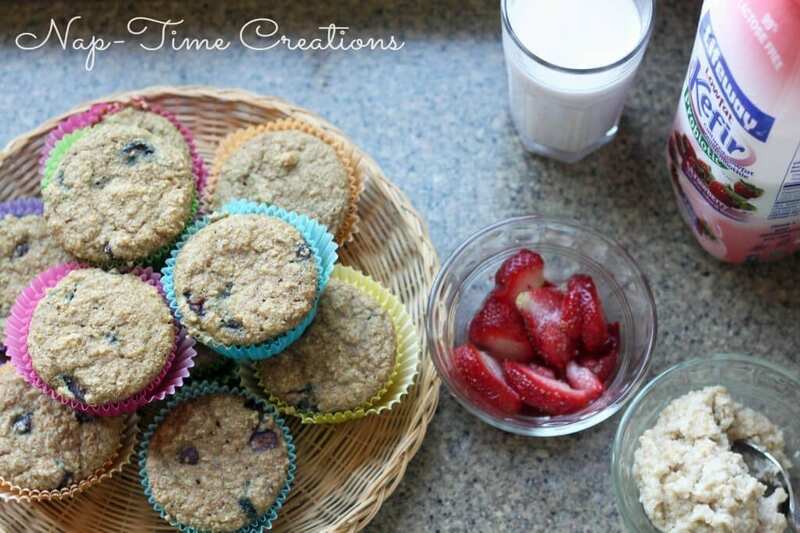 These muffins are very moist and flavorful, they are best eaten on the first day. They can be kept in a sealed container, but they are a bit soggy the next day. I just recently discovered steel cut oats… have you tried them? 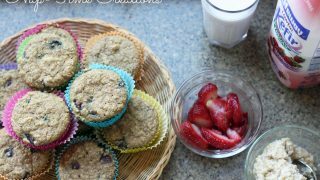 The look is more like cream of wheat than traditional oatmeal, but they are actually really great for muffins. 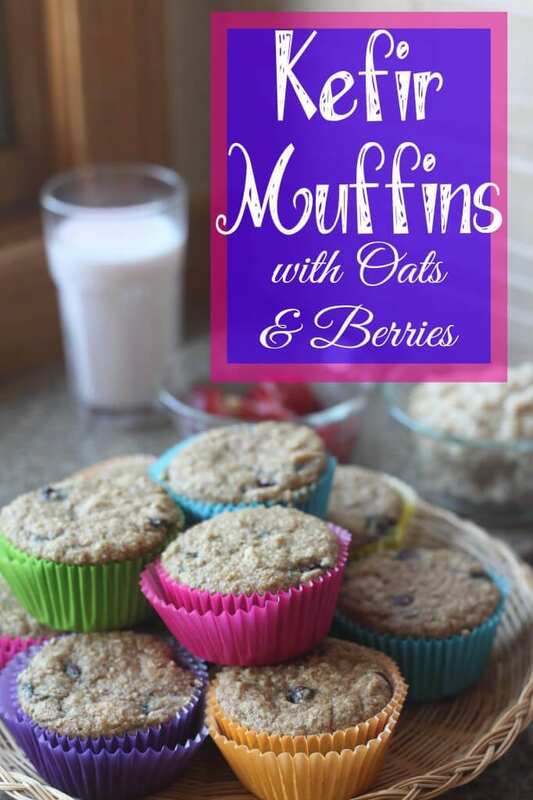 The oats are cut smaller, which works great in the muffin mix. Stir in the berries last. If using frozen berries make sure to soak up the extra moisture before adding to the mixture. 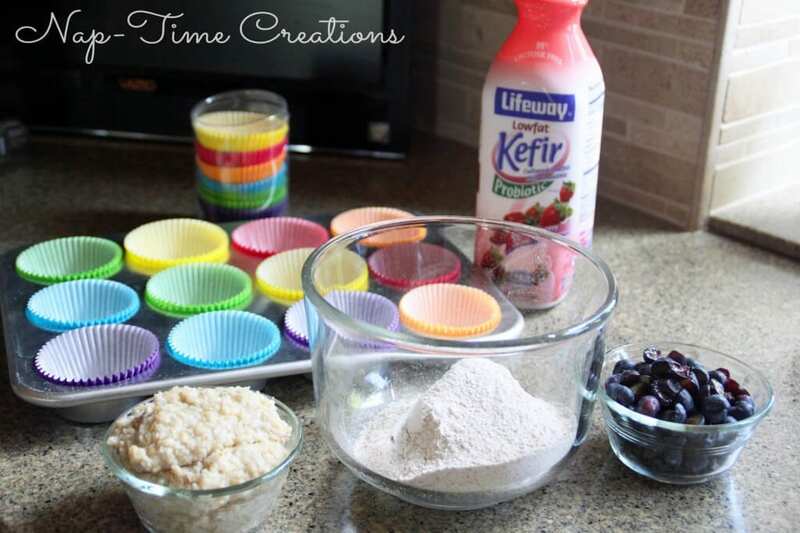 You will have enough kefir muffin batter to fill the 12 cups almost full. I wasn’t sure how they would rise, so I didn’t fill so full. They rise less that white flour muffins, but are still light because of the oatmeal. You can get coupons to try Lifeway Kefir on their site HERE. These muffins look great! Need to give them a try! 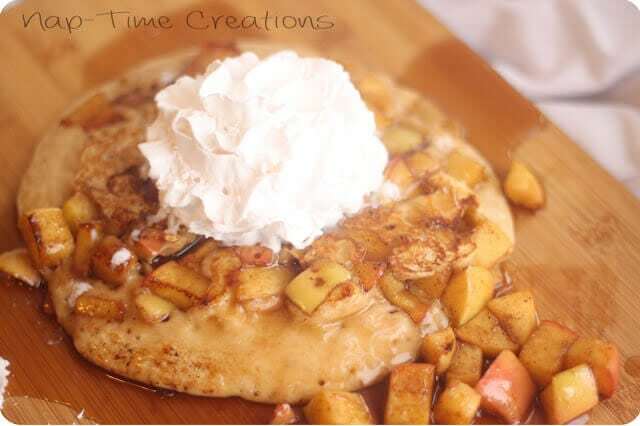 I’ve got kefir sitting in my fridge right now, going to try it out in this recipe. 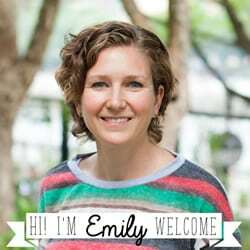 Thanks Emily! I love that kefir. I buy the plain all the time and jazz it up with some fruit. task nowadays. However, every time a blogger does enjoy what he writes about, he’ll probably adhere to it for some time time. spend money on your site. Not surprisingly, this kind of rhinoplasty is not just inexpensive, but fast. Many debate that the roll-out of technology on the making decisions process would completely eliminate any human error. hard to use, they’ve got become considerably more user-friendly within the years. quotes through the 2001 film.